We are able to undertake the full range of work to park homes from minor repairs to major refurbishments and everything in between. 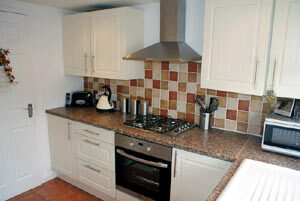 With the increasing cost of purchasing new homes, refurbishing older properties is becoming increasingly popular. 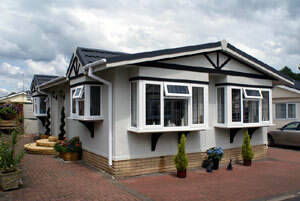 We can also add space to your current property with one of our bespoke extensions. No two jobs are ever the same, so before undertaking any work we arrange to meet the homeowner on site to survey the home, discuss requirements and agree solutions. We have directly employed, skilled tradesmen allowing us to undertake a full range of refurbishments to the interior and exterior of park homes. A full written quote clearly confirms the agreed work and timescales involved. Each job is led by an experienced team leader who manages each project and acts as day to day liaison with customers to ensure that all work is carried out to the complete satisfaction of the homeowner. We use industry-leading products in our refurbishments. These properties benefitted from upgraded insulation and new metrotile roofs. 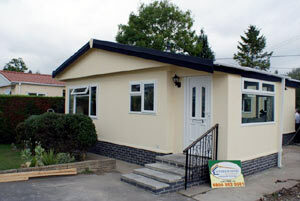 The exterior finishes are from our specialist range of traditional textured stucco or maintenance free vinyl cladding. So, if you are looking to improve your park home, call the team at Superior Home Developments and arrange your free quote.